CLICK HERE NOW to order: School Supply Packs and Directory for 2017- 2018! The ROE PTO is pleased to offer school supply packs for all students attending River Oaks Elementary in the 2017 – 2018 school year. The teachers at ROE have selected the supplies each student will need and they have been bundled in convenient packs available for order now! To order, click here or go to the ROE PTO website, click on Order Now in the top menu bar, and select “Order Your 2017 – 2018 School Supplies”. Pricing is $45 for Kindergarten (includes ROE t-shirt for field trips) and $35 for all other grade levels. Students who qualify for free/discounted school lunches will be provided with school supply packs at no charge. I hope you are enjoying the summer and are beginning to look forward to the first day of school on Monday, August 28. We have several events taking place in late August and early September so please mark your calendars with the dates noted below. We will be in touch again in August. Have a fun and relaxing summer! The ROE PTO is pleased to offer school supply packs for all students attending River Oaks Elementary in the 2017 – 2018 school year. The teachers at ROE have selected the supplies each student will need and they have been bundled in convenient packs available for order now! To order, click here or go to the ROE PTO website, click on Order Now in the top menu bar, and select “Order Your 2017 – 2018 School Supplies”. Pricing is $45 for Kindergarten (includes ROE t-shirt for field trips) and $35 for all other grade levels. Students who qualify for free/discounted school lunches will be provided with school supply packs at no charge. In an effort to send out a paper school directory earlier in the school year, the directory format will be simplified. In the fall, all families will have access to a free ON-LINE school directory. In addition, you can order a PAPER school directory for $6 at the same time you order your school supplies here: https://cwsclients.wufoo.com/forms/m19u8xni11x0fdn/. The directory will be delivered separately, after the school supplies. Questions? Contact Valarie Mechler at school-supplies@riveroakspto.org or Catherine Matthews at directory@riveroakspto.org. The summer clean up of the Nature Center and pond is underway. Thank you to the PTO Nature Center Team and Dr. Fovargue & her team for making this summer transformation possible. The school year starts off quickly with several events so please mark your calendars now! The Road Runner Rally will be held Thursday, Aug. 24 from 5:30-7:00 PM. Please join us in the cafeteria to learn about and sign up for all the interesting, important PTO groups that help make ROE a special place to be. Saturday, Aug. 26 from 8:30-9:30 AM in the cafeteria. Dr. Fovargue and the PTO president will answer any questions you might have and look forward to welcoming you to our special school. The Back to School Social is a fun ROE tradition to kick off the school year with a party! Join us at Beck’s Prime Memorial from 6:30 PM on Friday, Sept. 08. This special event is kindly sponsored by Heritage Texas Properties. 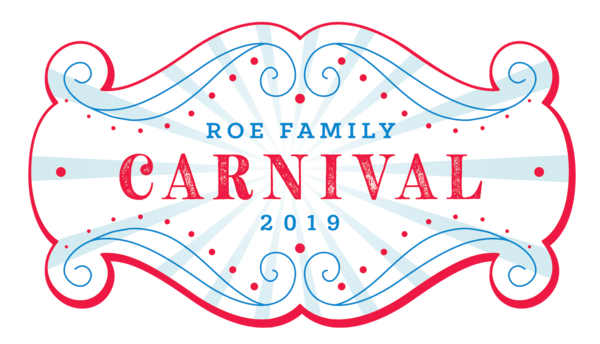 A portion of the proceeds from food sales will go to benefit the ROE PTO. More details to follow. Grab a blanket and meet us at ROE for our annual movie night on Friday, Sept. 15 at 6:15 PM. Pizzas will be available to order in advance. Water and popcorn will be generously provided by Heritage Texas Properties. More details to follow. Christine Aston and Sally Stow for investigating and coordinating the installation of our new fabulous sound system in the cafetorium!